Hello friends:)Eunji here.Today I am making the circus card using our Stacey- Celebrate set. I started stamping a lovely girl image stamp on maker paper. Next drew a background with watercolor paint on A6 size watercolor card stock. And the girl image paper piece adhered to the card panel with foam tape. Lastly stamped a sentiment stamp. 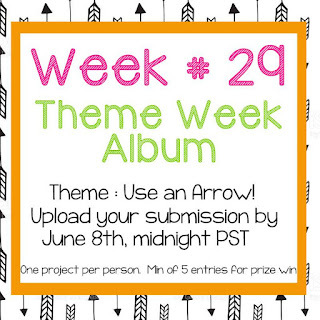 - Create a new project with the theme "Use an Arrow" using a Stamp Annie Thing product on it. -Share your creation at Our Facebook Group HERE by 8th June, 2018. Not a member of Stamp Anniething's Stampers Facebook group?